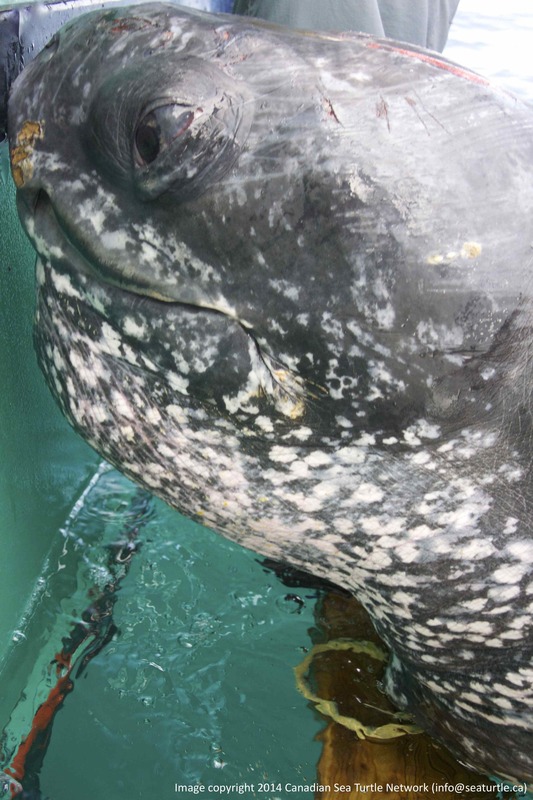 This is a look at life from a leatherback’s point of view. That is the top of the leatherback’s head you see in the foreground, with a jellyfish just beyond it. To us this video is amazing and fascinating. It was taken using a camera attached to the shell of a leatherback turtle. Dr. Mike James, who is the CSTN’s scientific advisor, developed this camera in collaboration with engineers at Xeos Technologies and Soko Technologies. 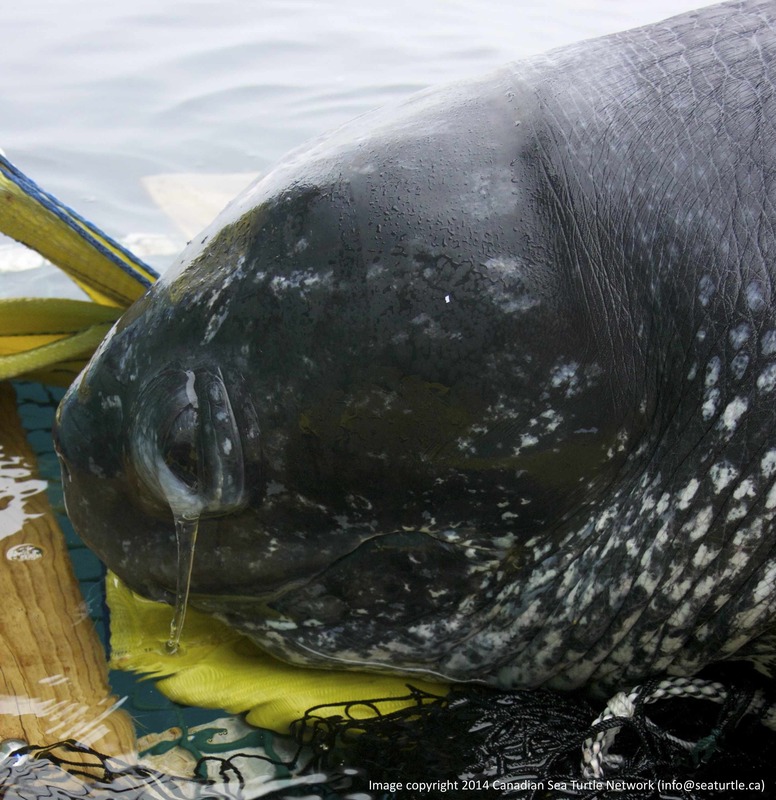 They called it Serrano-V.
A scientific paper published today of which Mike is a co-author talks about what we’ve learned with the help of Serrano-V and why it is so critical to the conservation of leatherbacks. 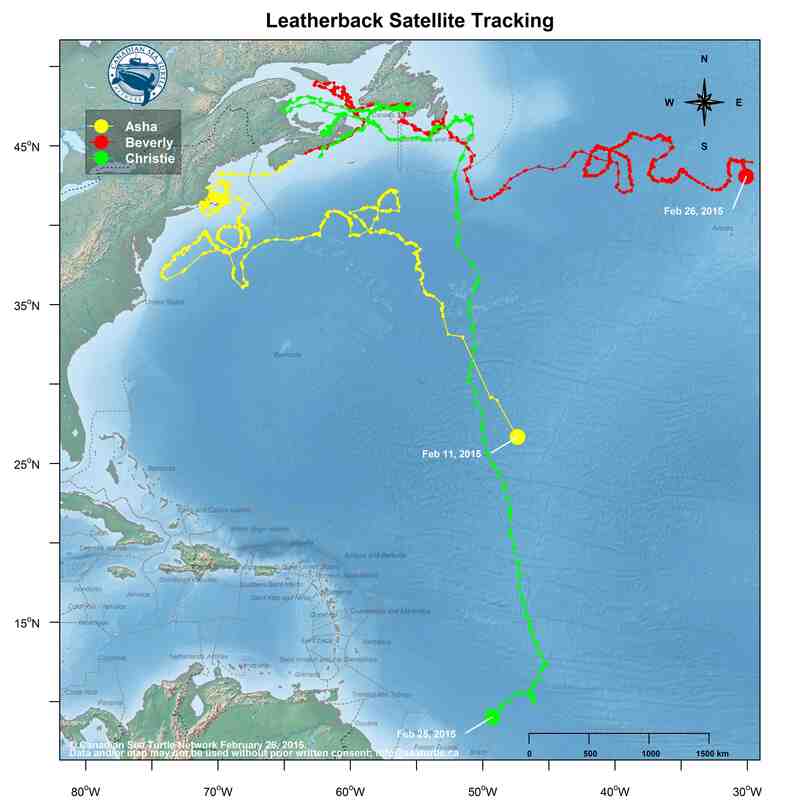 As you know, we collect data about leatherbacks using satellite transmitters. 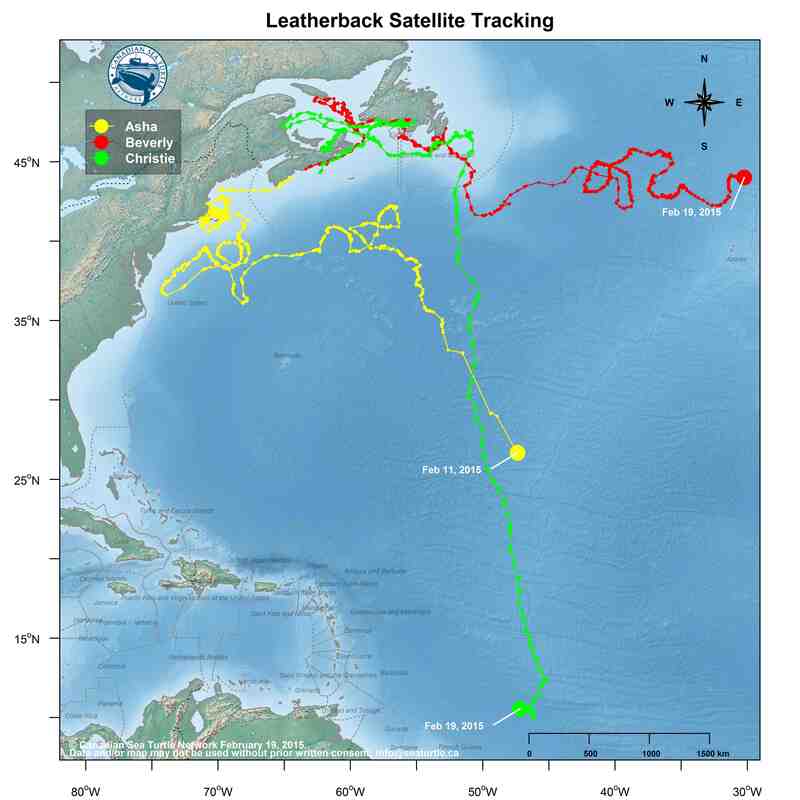 This data is “coarse.” It doesn’t get into the fine details of what the leatherbacks are doing because it is limited by the amount and type of data you can transmit through the bandwidth of the system of satellites used to monitor the tags. 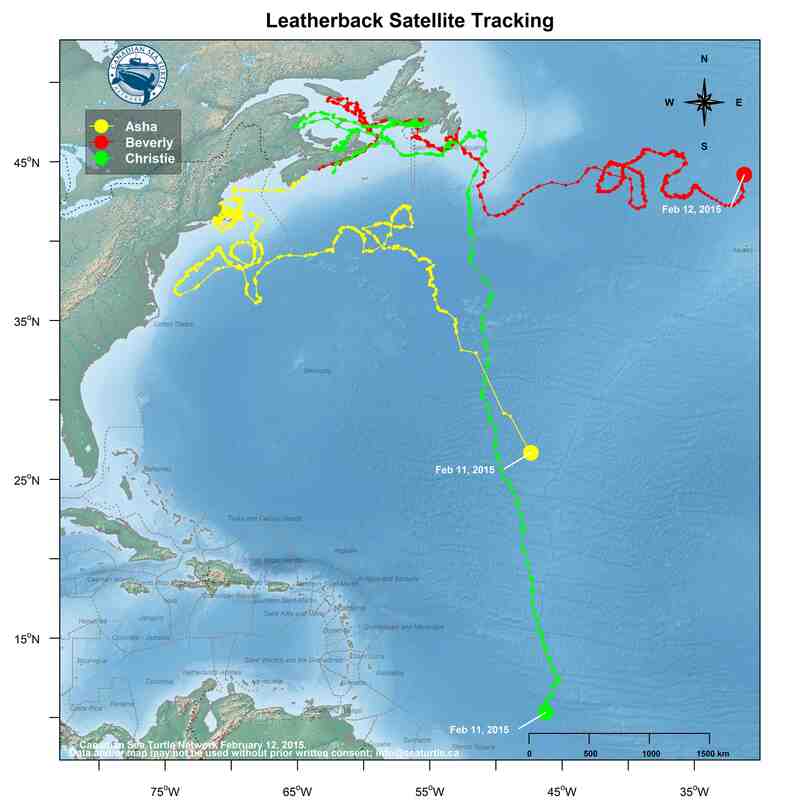 It is just the kind of information we need to work at conserving leatherbacks in the most intelligent way possible. “Rather than inferring what the turtles are doing below the surface of the water, we can actually see it happening,” says Mike. 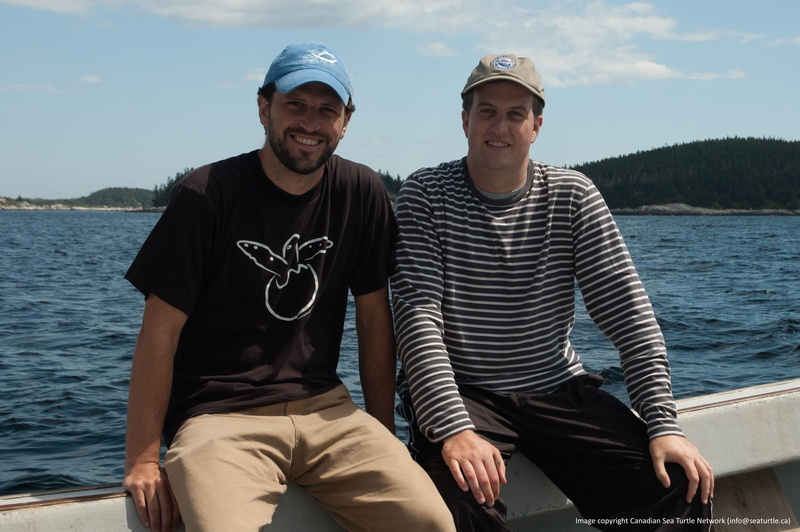 Bryan Wallace (left) and Mike James (right) on the turtle boat off Nova Scotia. The paper is really exciting for us—and particularly because Bryan and Michael Zolkewitz, the other co-author, are tremendous scientists who are as enthusiastic about this work as we are. What that paper can’t tell you, however, is how hard it was to get this to work. This represents years of trial and error. (The project began almost a decade ago while Mike was finishing his post-doc!) There were growing pains typical of refining such a cutting-edge instrument…inevitably, sometimes the camera didn’t record or a sensor needed to be replaced. The camera system was also subjected to tough conditions at sea. You can imagine the impact of pounding waves, of the force of water as the turtle swam and dove. There were hours of video that couldn’t be included in the analysis because the camera had shifted from its original position on the turtle’s shell and the field of view we needed wasn’t captured. Mike used to rest Serrano-V on an old white pillow in the hold of the boat to protect it from being jostled and damaged when it wasn’t in use. And then when it was, he would emerge from below deck, carefully balancing Serrano-V, still on its pillow. He’d climb along the side of the boat, bending under the stay wires to stand up on the bow, calling for everyone to stand back to protect the delicate antennas. It was always funny—but serious, too. There was only ever one Serrano-V. There was no replacement available. And we all knew how much value the study would have if it worked. I love the feeding video. It’s spectacular. It seems to me such a privilege to have the chance to see what the leatherbacks are up to—to be humans allowed in that private world of theirs. But I love this video, too. This one is from the early days of Serrano-V. You can see it on the turtle. It is slipping slightly. What is most important to me is the conversation you hear. Those are the voices of Mike and Blair and Bert Fricker, who are two of the fishermen we have worked with the longest. Blair is the captain of our field boat off Cape Breton. You can briefly hear Martin, who worked on our field team for years, and a little of me. Everyone is suggesting ways to make the tag work better. The success we are celebrating with this paper is the result of dozens and dozens of conversations like this one—of lots of minds working out the small details of a big question. The value of a strong team of dedicated people. The other thing that a paper can’t represent properly is that moment when a scientist, faced with needing information that can’t be collected because of the limits of technology becomes determined to find a way to make that technology. That to me is also remarkable. That is magic. That is art as much as painting or dancing or writing. It takes courage to create something that wasn’t there and courage to be tenacious season after season even in the face of a lot of “failure.” It takes a great team and the ability to inspire them. So cheers to you, Mike James—and to all the people who helped—fishermen, biologists, engineers, CSTN staff. And thanks. Beverly has found a way to stay north and warm, hanging out in the Gulf Stream, still. And Asha. We haven’t heard from her transmitter again since last week. If we don’t get any hits by the next map update, we’ll know her track is finished. I’ll hold out a little hope until then. In the meantime, I’ll bundle up. This is what I mean. You just never know. So good news from here! We name turtles after people sometimes. Not always, but sometimes. 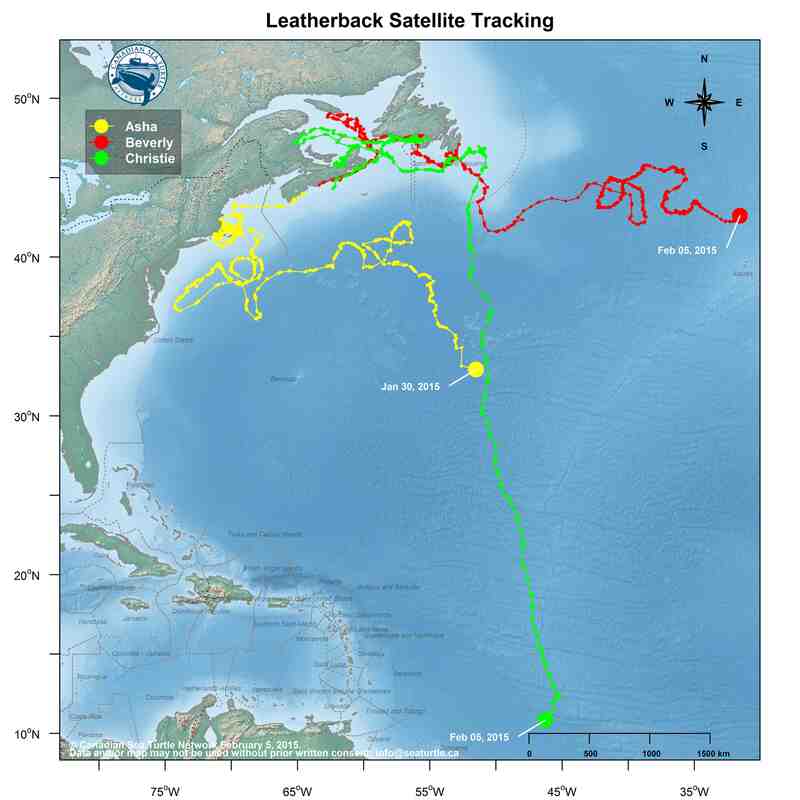 Two years ago, we named one of the turtles we satellite tagged “Lily Rose.” You may remember her. 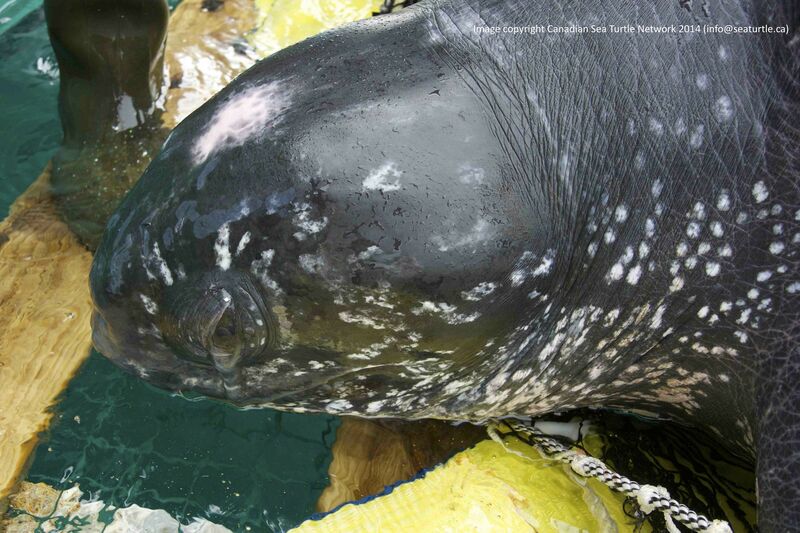 Months after her transmitter stopped working, she was found nesting in French Guiana. Lily Rose was named after a little girl: Miss Lily Rose Rosploch. 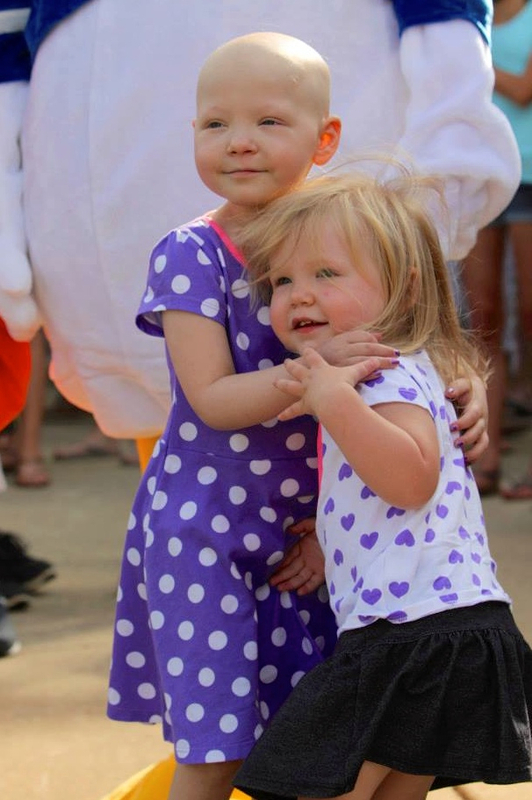 And Lily Rose the girl was fighting neuroblastoma, a kind of cancer. At one point, Lily was—miraculously—cancer free. But then it came back. And it is with great, great sadness that I tell you, sweet Miss Lily Rose died on January 31. She was five years old. Lily Rose (left) and her little sister, Mya.